Samsung has been an industry leader in the Android space for many years, and the company is looking to its latest device to maintain its advantage. The Galaxy S9 and Galaxy S9+ are likely to lead the way in 2018, and we’re taking a look at what to expect once the devices are announced. OUR VIDEO EDITOR HAMZAH RUNS THROUGH EVERYTHING WE KNOW SO FAR ABOUT THE SAMSUNG GALAXY S9. At the start of 2018, there was a decent amount of speculation around whether Samsung would surprise everyone and showcase the Galaxy S9 and Galaxy S9+ at CES 2018. The event came and went and everything was practically silent on the Samsung front, save for some murmurs about a possible Galaxy X. As the days passed, the rumors mounted suggesting that Samsung would choose either MWC 2018 or an entirely separate event. An independent Unpacked keynote would make more sense considering that’s what Samsung has done in recent years, with the Galaxy S8 being unveiled in New York City last year. While the event will be held on February 25th, the actual release date for the Galaxy S9 is up for debate. Obviously, the device will be released in South Korea (Samsung’s home country) first, before moving to other regions across the globe. The earliest we could see the Galaxy S9 lineup in the hands of consumers is likely the first week in March. Then again, this could just be the time for pre-orders to open, before Samsung launches the lineup later in the month. 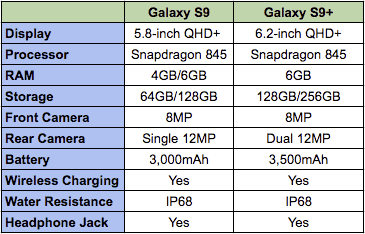 Pricing for the Galaxy S9 and Galaxy S9+ is something else that is up for debate. It’s almost a certainty that the lineup will be priced higher than the Galaxy S8 lineup, however, with some claiming that even the smaller S9 could cost more than $1,000. 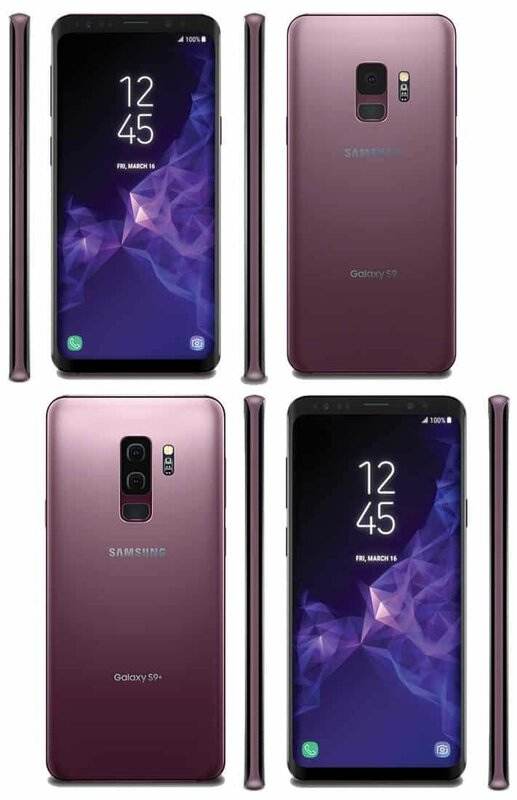 Now that we know when the Galaxy S9 and Galaxy S9+ will be unveiled, this leads us to what the devices will actually look like. Considering of all of the rumors, including the early ones, it’s clear these new devices will feature a design extremely similar to that of its predecessors. This means the return of the Infinity Display which made its debut on the Galaxy S8, before then making its way to the Galaxy Note 8. 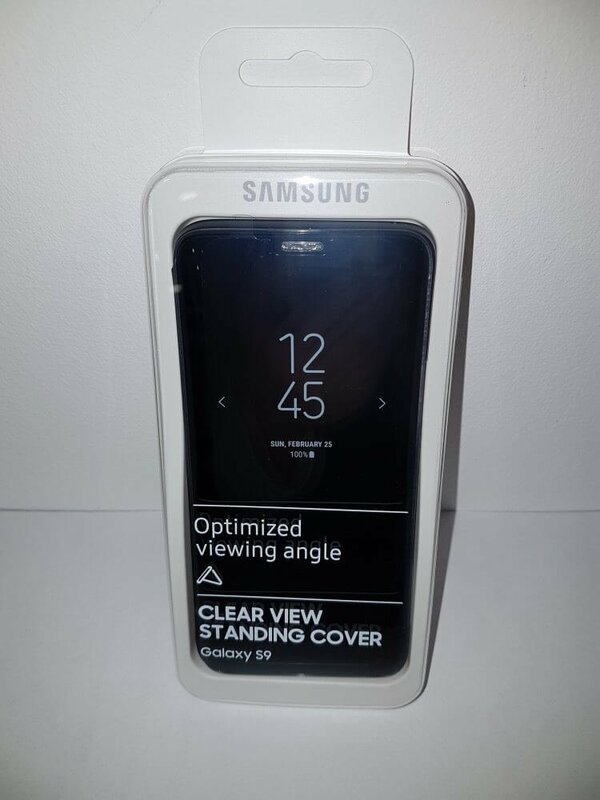 The differences between the S8 and S9 come when you move to the rear of the device. One of the biggest complaints about Samsung’s devices from 2017 came in the form of the placement of the fingerprint scanner. It was situated too far to the right, making it practically impossible to reach, unless you were prepared to partake in some finger gymnastics. With the Galaxy S9 and S9+, the rear components have been vertically rearranged, and the fingerprint scanner has been placed below the camera module. The LED flash and heart rate sensor will be located to the right of the camera, where the fingerprint reader used to be. The next big change comes when comparing the Galaxy S9 to its larger brother, the Galaxy S9+. 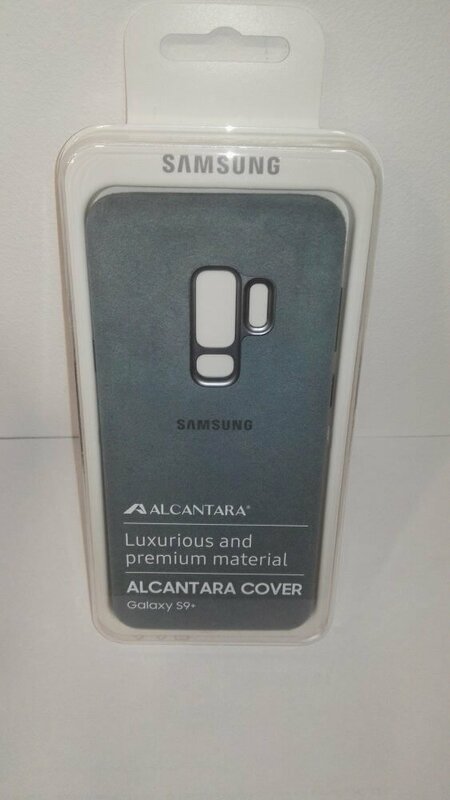 It seems that Samsung is looking to differentiate these two devices, and the larger Galaxy S9+ will become a “premium” model of sorts. This means that the Galaxy S9 will feature just a single rear-mounted camera, while the Galaxy S9+ will be equipped with dual-cameras. There’s no real rhyme or reason as to why Samsung is opting to go this route, other than to provide options similar to how Apple presents the iPhone 8 lineup. 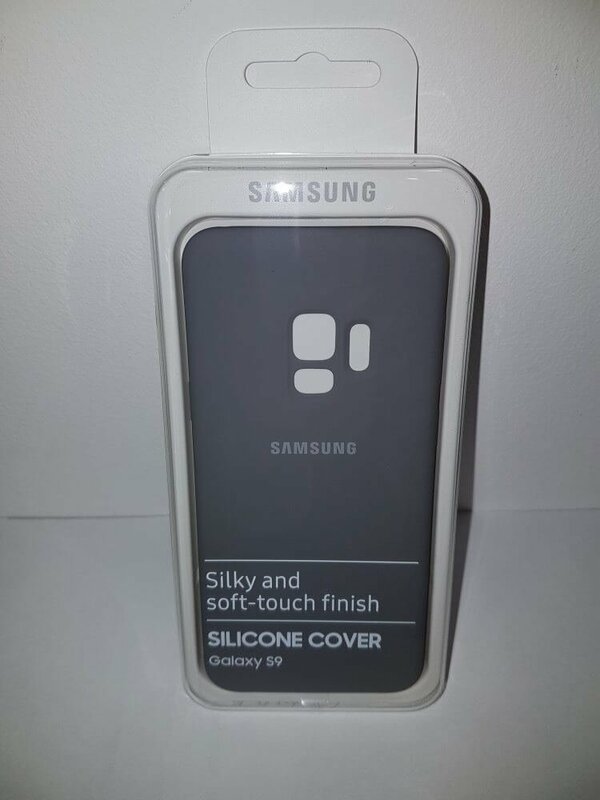 One more questionable inclusion likely to be found in the S9 lineup is the Bixby button. This will be placed below the volume rocker on the left-side, making it possible for you to quickly pull up Bixby while on the go – if anybody wishes to do so. While design changes are pretty cool, and welcome in most cases, what everybody really wants to know about is the specs. 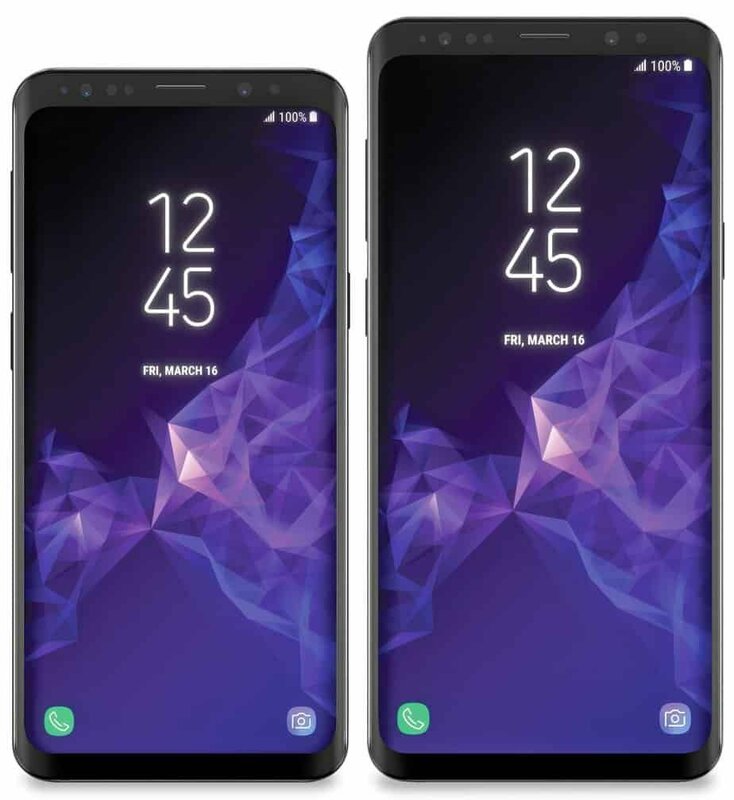 Considering that the Galaxy S9 and Galaxy S9+ will fall in the flagship category, we can expect the very best specs available at the time. However, leading up to the event, there has been a little bit of variance in reports about what these devices will offer. 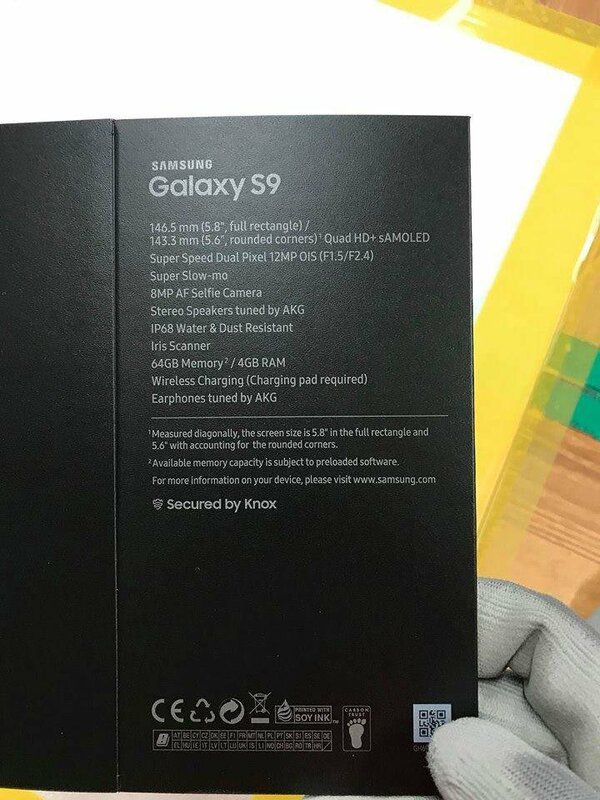 A legitimate-looking image of the S9’s packaging shared some of the key specs for the device. Although not on the box, we understand the S9 and S9+ will be powered by the latest Exynos 9810 chip in most regions, with a Snapdragon 845 used in the US variant. Most of the other specs will stay the same for both the S9 and S9+, except for the camera and other specs relating to size. For example, the S9+ will likely feature a larger 6.2-inch display, although it will carry the same aspect ratio as its little brother. It’s likely that we’ll see 6GB of RAM in the Galaxy S9+. This will be coupled with 128GB of base storage, which can be expanded via microSD. Unfortunately, there has yet to be any solid information regarding what rear-camera sensors will be used for the larger Galaxy S9+. But looking at the leaked S9 packaging, we can deduce that the primary sensor is likely to be the same 12MP Dual Pixel camera. When it comes to the battery, the smaller Galaxy S9 is expected to carry a 3,000mAh battery. Meanwhile, the Galaxy S9+ will see a slight bump, featuring a 3,500mAh battery. Bigger is always better, especially when there’s a larger screen to power. 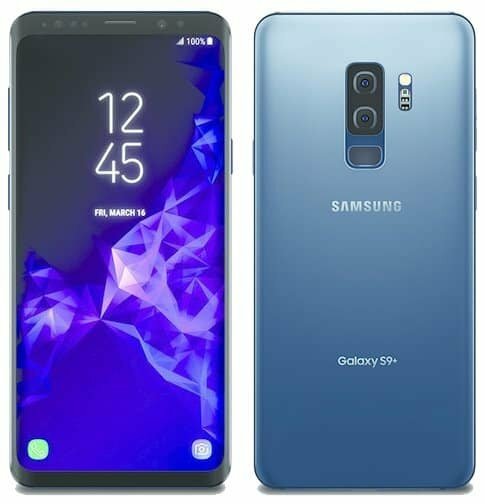 Besides being known as the de-facto supplier of the best Android devices (outside of smaller niche circles), Samsung is also known for throwing a bunch of features into its – some useful, some not. The same will ring true with the Galaxy S9+, and the focus will all be on the cameras. The iris scanning feature reintroduced in 2017 with the Galaxy S8 will return to the Galaxy S9 lineup. However, we can expect to see enhanced software and hardware to compete with the iPhone X’s Face ID security feature. Samsung may introduce a new iris scanning feature called “Intelligent Scan”. This was found in the Android Oreo beta for the Galaxy Note 8 and supposedly combines face unlock with iris scanning for a better experience. This will allow for the Galaxy S9 to quickly unlock without worrying about the fingerprint scanner or lighting conditions. Moving to the rear cameras, we can expect Samsung to really up its game with the S9. While the Galaxy S8 has a truly great camera, it has often been outclassed and overshadowed by others in the space. Samsung is likely hoping to keep the Pixel 2 and iPhone X at bay with the Galaxy S9 lineup. This means improved sensors with additional capabilities. The sensors that will be used will likely be from Samsung itself, as the company recently introduced new Isocell image sensors. These improve upon low-light quality, while also including faster PDAF (Phase Detecting Auto Focus). This new Isocell sensor is will shoot video at 30fps in Full HD (1080p) resolution. Additionally, we are expecting to see slow-motion video capture on the Galaxy S9 lineup, with the sensor capable of shooting video at 60fps. With the cameras clearly the focal point of the Unpacked launch event, there will likely be even more features that have yet to be rumored or leaked. Here’s hoping for a few pleasant surprises. Another returning feature of the Galaxy S9 lineup is said to be wireless charging. This would fall in line with the idea that Samsung is keeping the same design, meaning we will have a glass front and back. Wireless charging is definitely a welcome feature and one that’s necessary for one of the accessories in our next section. When the Galaxy S8 lineup was unveiled, Samsung also introduced a whole new selection of compatible cases and other accessories. These included a device called the DeX Station, which allowed you to dock your device and use it as a desktop computer. The DeX Station featured all of the necessary ports, including dual-USB chargers, an HDMI output, an Ethernet port, and more. 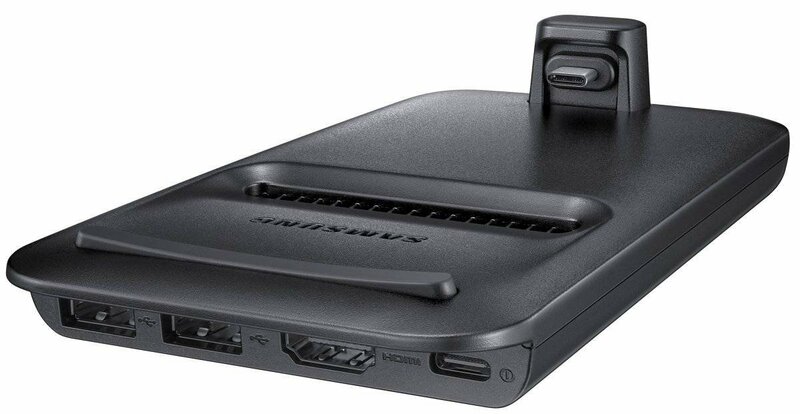 However, it seems Samsung went to the drawing board for 2018, as a completely new DeX product has been leaked. 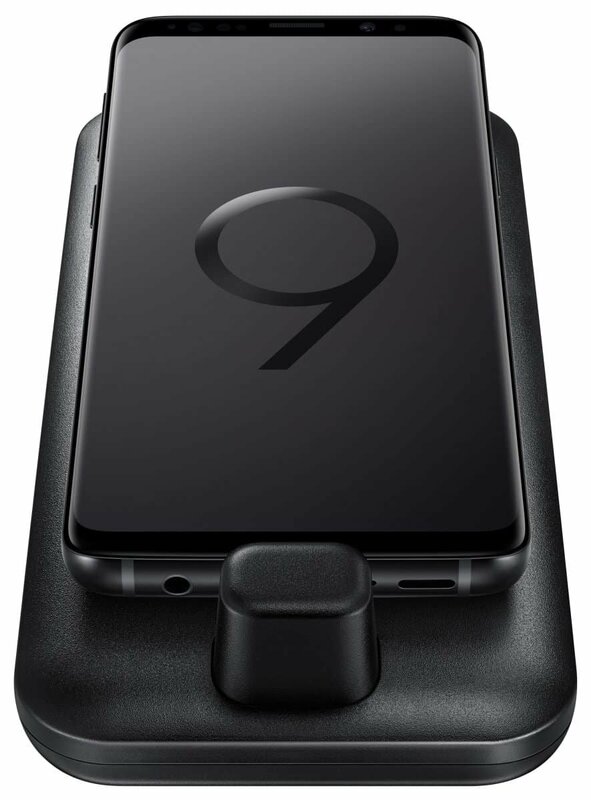 It’s called the DeX Pad, and instead of placing your phone at an upward angle, the Galaxy S9 will lay flat when docked. It will connect via USB Type-C at the bottom, allowing your device to act as a touchpad for the computer. At the top of the DeX Pad, you will find ports such as one USB-C, two USB-A, and one HDMI, making it easy for you to create a new desktop experience. There are also vents built into the dock which will help ensure that your new Galaxy S9 or S9+ does not overheat during use. As you can see from the images, all of these cases/covers are manufactured by Samsung, so you won’t have to worry about any odd fits. 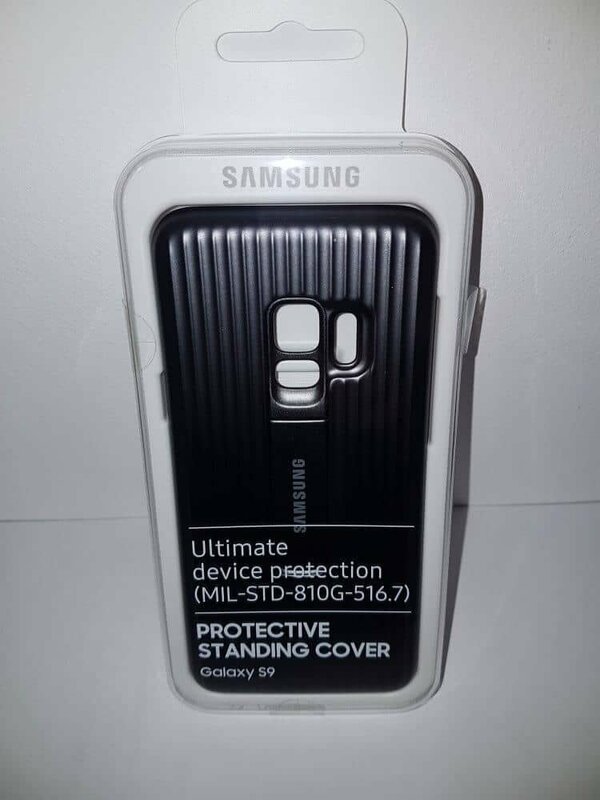 Unfortunately, since they come straight from the OEM, some of these cases are likely to be priced as high as $60. 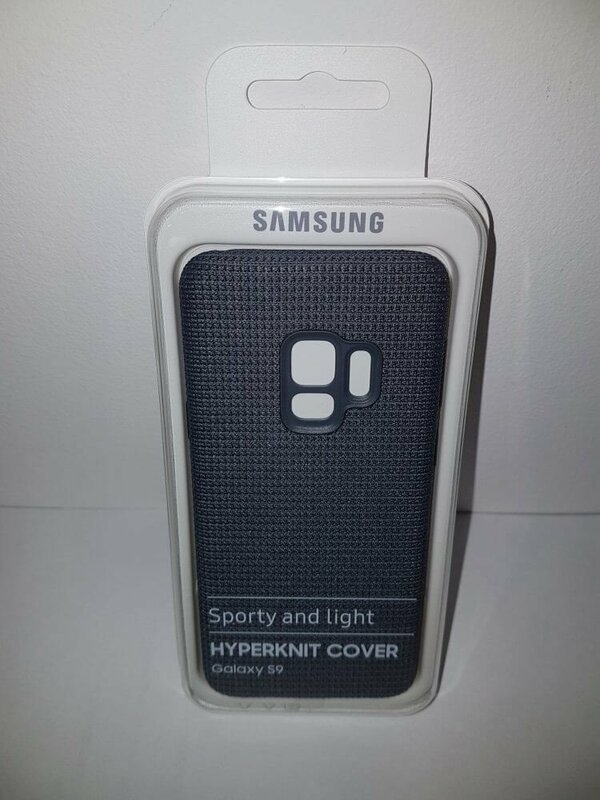 Another leaked accessory that will likely become available for the Galaxy S9 and S9+ is a new wireless charger, although not much that has changed when comparing this to its predecessor. 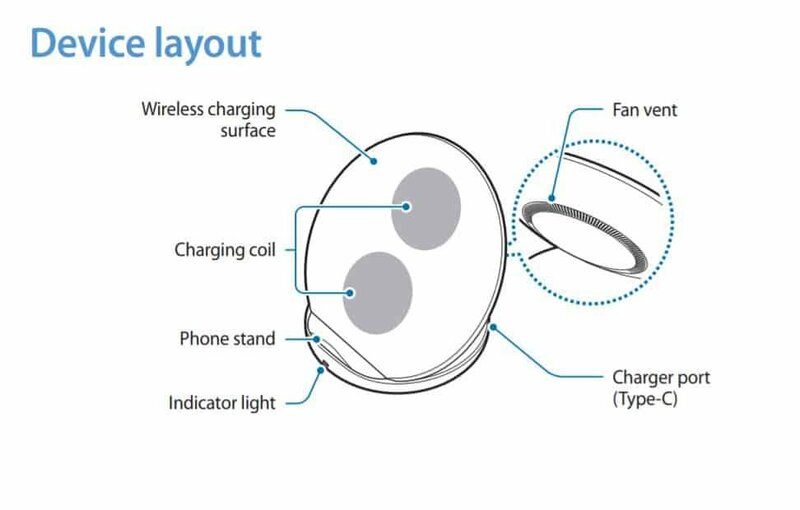 Instead of featuring three coils, the new wireless charger will feature “just” two coils. These will be powered by the charging port, and have a capacity of 18 watts, which will be more than fine to top up the Galaxy S9’s battery if you’re in a pinch. Pricing for the wireless charger is expected to be around $90, which falls in line with the previous generation released last year. Other than the screen size, it seems that Samsung will be going the Apple route and will also be including more in the Galaxy S9+ than its smaller brother. Differences include a dual-camera setup on the rear, a bigger battery, more RAM, and of course, a bigger display. Thankfully, both devices will retain the ill-fated 3.5mm headphone jack (for now). 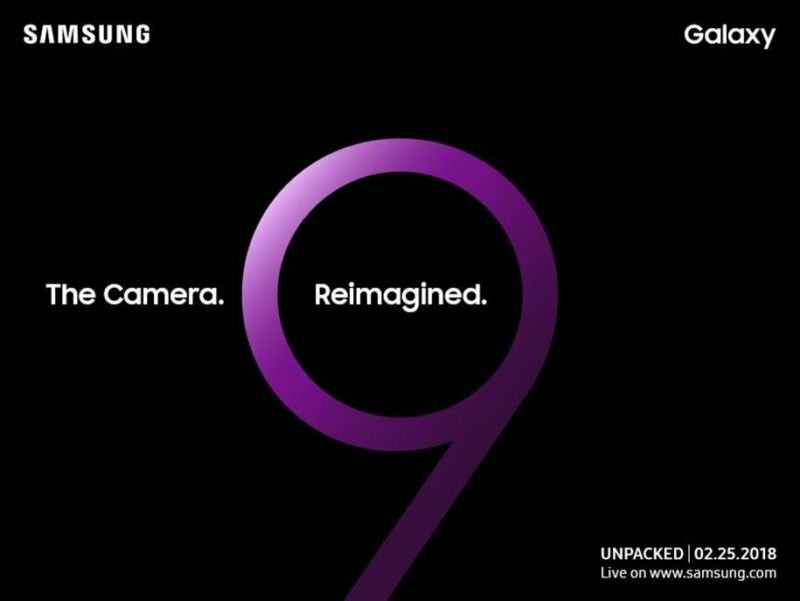 The Galaxy S9 lineup and its accessories are set to be unveiled on February 25th during a Samsung Unpacked event at MWC 2018 in Barcelona. This will be live-streamed, meaning you will be able to watch from the comfort of your home as Samsung shows off its latest and greatest devices. Pricing for the phones is expected to be just a bit more than their predecessors, with the Galaxy S9+ possibly crossing into Galaxy Note 8 territory (more than $1K). Nonetheless, we have less than two weeks remaining before we see what Samsung has been working on.